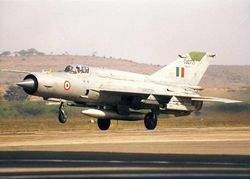 MiG-21 Bison CU2771 taking off. 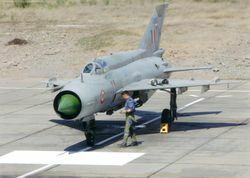 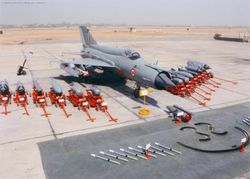 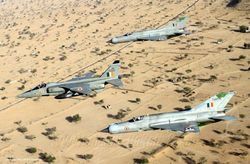 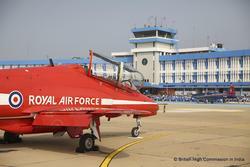 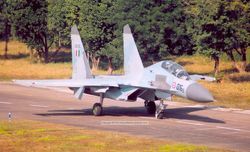 No.32 Squadron was one of the recent converts to the Upgraded MiG-21 Bison. 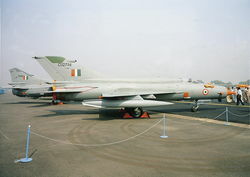 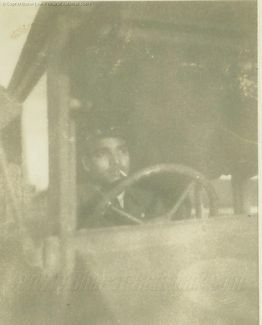 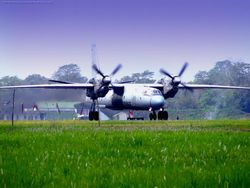 CU2796 is displayed in this photograph.